Long live Joe Pickett books! 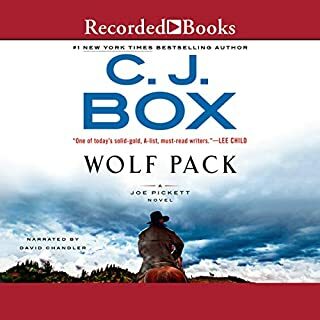 Another CJ Box winner. I've read or listened to all 19 at this point and have never been dissatisfied. It will be interesting to see how book 20 puts all the pieces back together. Sure looking forward to it. 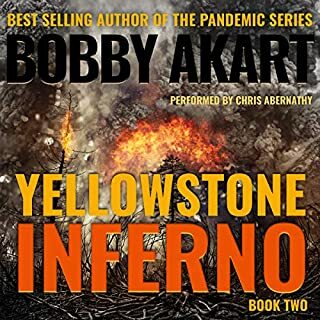 Things warm up pretty slowly in some of Bobby Akarts books, this one is no exception. But if you like slowly developing stories that do keep your attention this is a good one. Glimpses of a shadow government, preppers and a government bureaucracy sure to fail its citizenry abound. You'll want to stick around through all the volumes to find out what happens. Kate has managed to survive a massive cyber attack that annihilated the US banking system. The societal collapse that followed in the wake of the attack has already claimed the lives of millions, including members of Kate’s own family. The government has instituted a temporary solution, but another wave of computer viruses has just been found. This time, the malware is targeting America’s power grid. To make matters worse, Kate inadvertently killed the leader of a violent local gang, and there’s a price on her head. Trouble and peril await her at every turn. 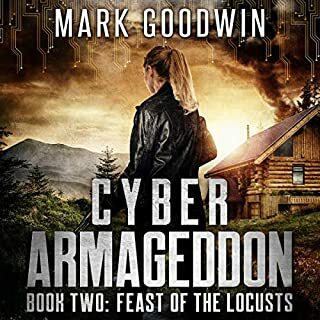 Shelter-in-place, bug out or bug in Mark's developing story indicates there may be no safe place. When the grid goes down or the economy collapses no amount of prepping can prepare everyone to survive. Yet many, like myself, may have an optimistic view of their own survival. That my friend is the human nature, or spirit. 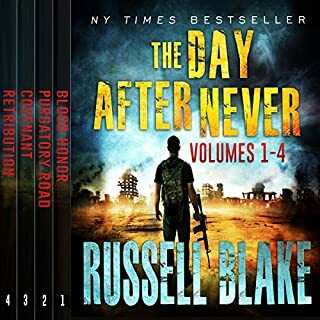 Then along comes the apocalypse, with it a new reality as in this series it can smack you in the face with unplanned outcomes. I guess that's where the saying adapt, persevere and overcome comes into play. Mark always provides the reader with a dose of that new reality. 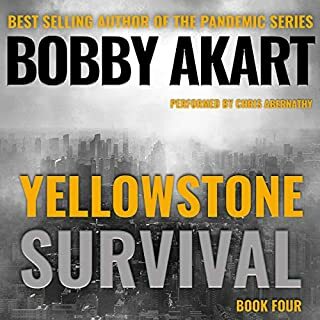 I look forward to book number 3 because it will answer the question what will become of the survivors. 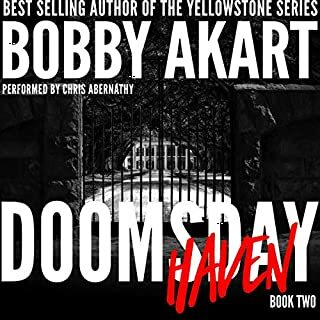 if you like slowly developing stories with many different characters bouncing back and forth detailing their stories then this is the book for you. Potentially the story will develop into another Akart winner. 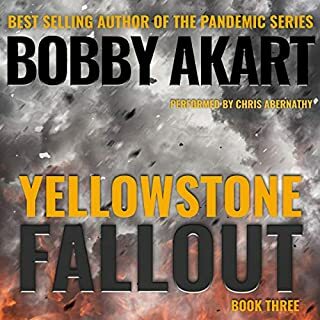 I listen to audible and other than the Yellowstone series I have yet to finish the author's books. primarily due to way too much detail too many jumping back and forth characters etc. I'm not exactly sure where to start in rating this book. I enjoyed the listen however using real names to me is self-promotion that was sort of off-putting. Just speaking honestly here, only my opinion. Otherwise it was a worthwhile listen. 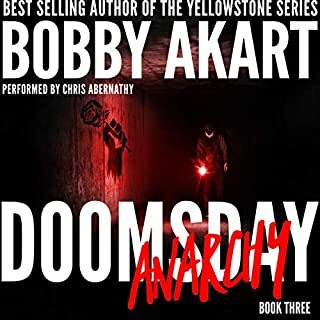 I have read so many apocalyptic dystopian fictional books at this time as to be getting tired of the usual suspects (like gang members) and the characters that deny the apocalypse will happen, that things will get better soon. I wish Akart woud stick with this format. 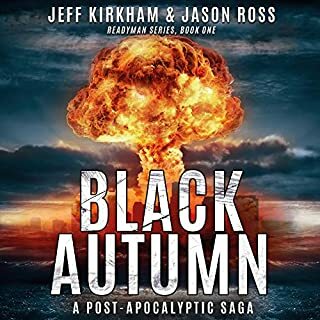 I enjoyed the characters and the story listening on audible. I'm glad to recommend it and rate this series very highly. the author refrained from complicated character development/plot development at the beginning of this book. Akart books are those which either I read fully or I put it down after the first few chapters. in the case of audiobooks I've listened to hours of his books only two shake my head and erase them from my library. 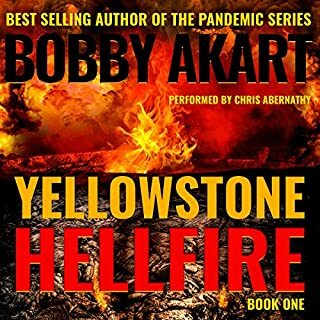 the Yellowstone series however has kept me entertained and hoping for several more books on the series. one of only a couple of the author's books that I was able to read all the way through. I always hate a lot of complicated build-up and character development at the beginning of a book. This book flowed well. I want to see many more books in this particular story.